This is the pinnacle of prosperity, material goods that last instead of being temporary; this is a family home bought and paid for, a business you can pass onto your children. The Querent might find themselves the lucky recipients of a trust fund or lottery money big enough to last a lifetime. It may not be a huge lump sum, but it is something that can be relied on for a good, long while, or something to be passed on to the children, a family inheritance, or just a special, valuable item to pass on. 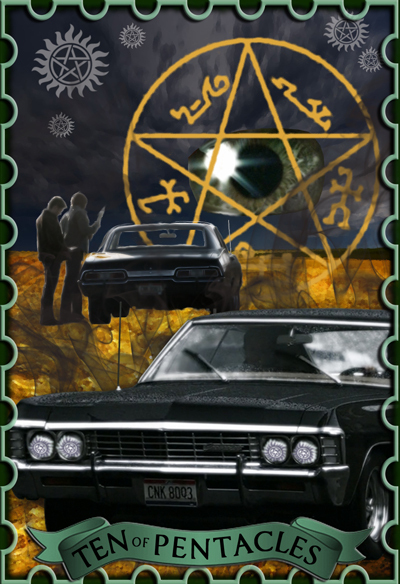 So when you read what the card is about – I guess it always had to be the Impala, eh? So here she is, in all her glory….